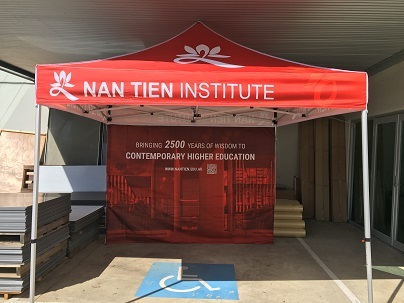 Nan Tien Institute (NTI) is the first Australian educational institution to offer an enlightened and holistic education for the 21st century, in an environment which embraces Buddhist virtues and values. 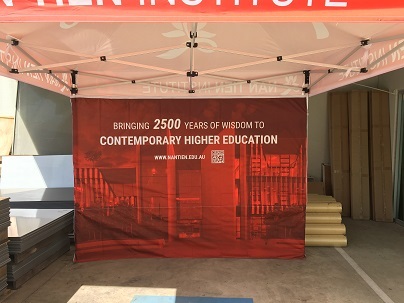 NTI is a non-profit private higher education provider registered and accredited in Australia through the Tertiary Education Quality and Standards Agency. 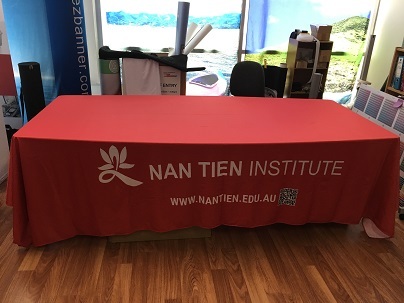 This entry was posted in Event Tents & Marquee, Table Cover-Deluxe Loose, Table Cover/Table Cloth on October 6, 2017 by admin.